FIESTA BLUE STRIPE HAMMOCK home decor, jewelry, decor, decorations, electronics, fountains, floor mats, art glass, vases, garden essentials, fireplace screens. 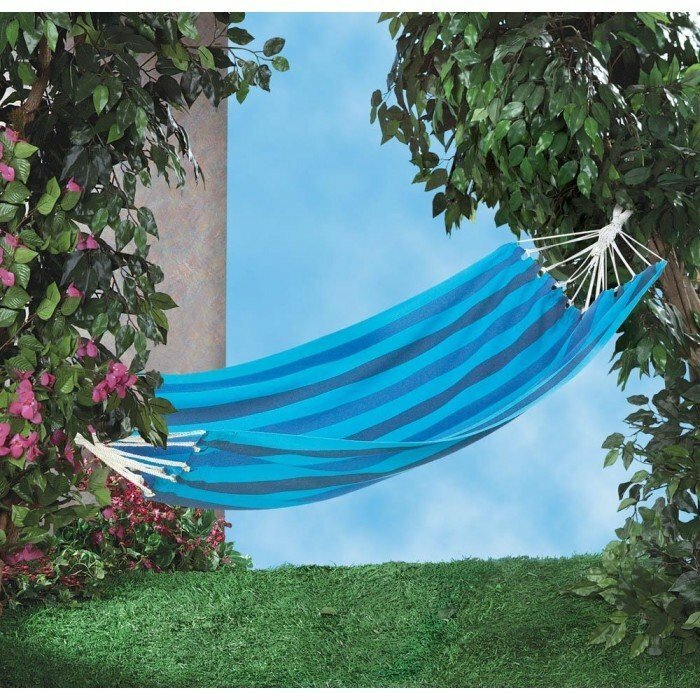 Your yard will become the #1 space to hang out and relax when you hang this cool hammock. It features a cotton single hammock in varying shades of blue and cotton rope. Hang it anywhere for a great spot to chill! Maximum weight limit: 350 lbs. Material(s): COTTON METAL. Weight: 2 pounds. Dimensions:78.8" x 39.4" x 0".